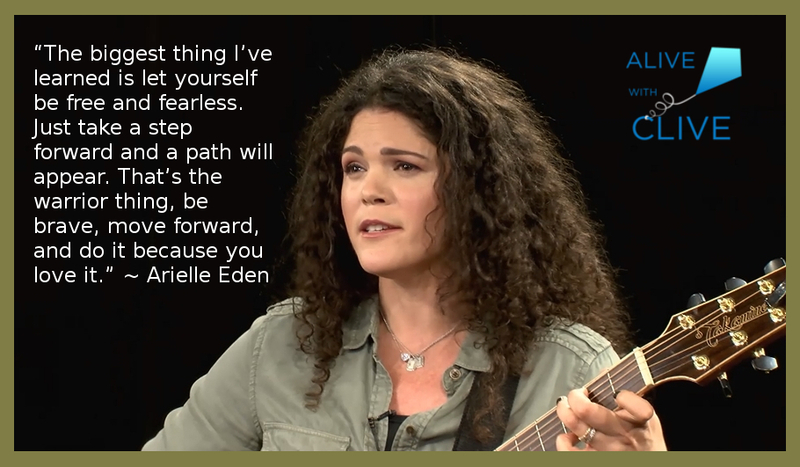 When Arielle Eden was growing up, dancing, songwriting, and singing were portals to pass through, allowing her to celebrate the moment and transcend reality. Years later, health challenges that, at times, prevented her from walking, caused her to reflect upon her life and realize that her childhood passions were being suppressed. After regaining her health, she had a creative rebirth, with the result that, in an exciting album of songs she will soon be releasing, her talent is about to become known and appreciated by music fans all over the world! In June of 2016, Eden had a clarifying moment seeing Lin Manuel Miranda’s Hamilton. “I was moved by the themes of mortality… The show was life-affirming and life changing. It gave me an ‘it’s now or never’ perspective in my own life and work,” she shares. Soon after, she began taking courses at Berklee College of Music’s online division. Each night after she put her two sons to bed, she would head down to the basement to write songs. “I felt swept up in the creative process again,” Eden says. Driven by this newfound purposefulness, Eden reached out to producer/multi-instrumentalist Daniel A. Weiss, who became her producer and close artistic ally on her album, Sagittarius. 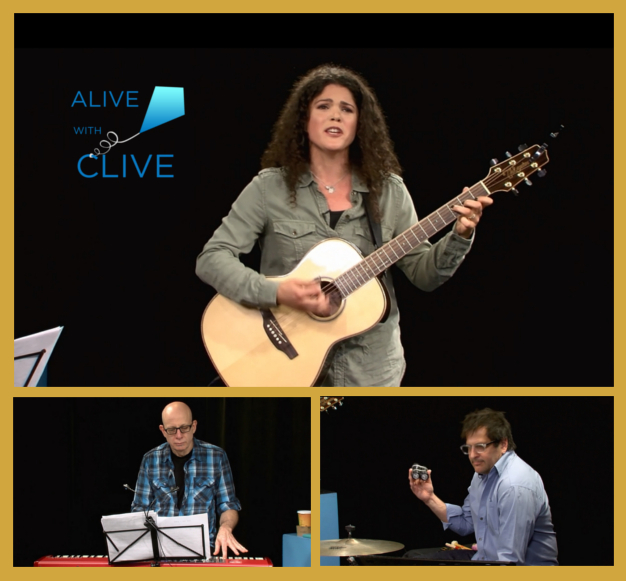 On Alive with Clive, Arielle was accompanied by Daniel A. Weiss, who played the keyboard, and experienced percussionist, Gary Seligson. Daniel and Gary have worked in musical theater for many years. Daniel was the assistant music director for the first eight years of Broadway musical, Rent, and toured with Joan Osborne, Jeffrey Gaines and Valerie Carter. Gary met Daniel at Rent, and has played in several shows on Broadway, including Wicked, Aida, Billy Elliot and Tarzan, and is now playing drums in School of Rock – The Musical on Broadway. “Sagittarius” humorously highlights the perils that await anyone who attempts to be in a relationship with a Sagittarian and ignore the attributes of her birth sign at the same time. 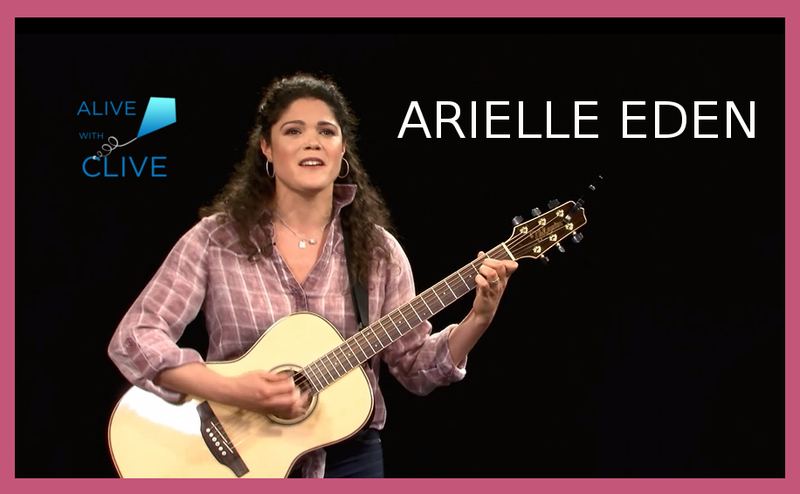 When you listen to Arielle sing, it is the invigorating sound of her voice that first grabs you, and then you become captivated by the lyrics and melodies in her different songs – about love, life and relationships. As a result, you find yourself yearning to hear her songs over and over again. Overall, you’re bound to be left feeling delighted and grateful that she has found a way, notwithstanding all that is going on in her life, to create the songs on the album, Sagittarius, she is about to release. 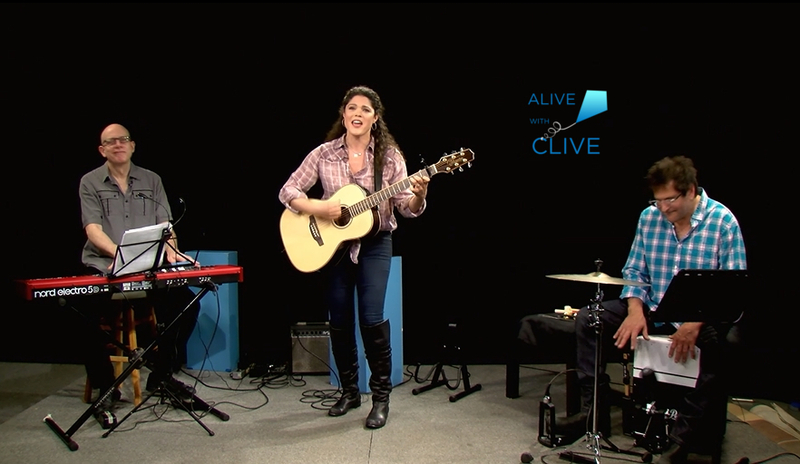 You’re thus most definitely going to enjoy her 1st Show and her 2nd Show on Alive with Clive. 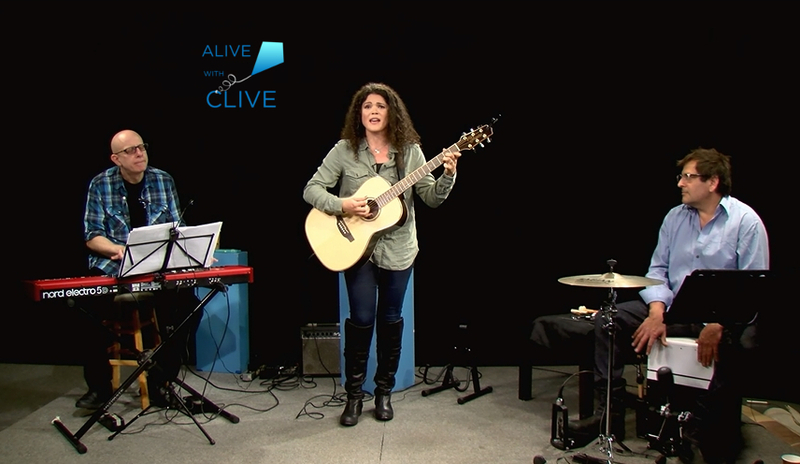 On Alive with Clive: With Imaginative Songs That Provide a Rich and Rewarding Listening Experience, Singer-Songwriter Jason Moore Knocks on the Door to Gain Admission to the Room Reserved for the Legends!